We’ve been hibernating for the winter, working on three new hardback titles which were announced at the London Book Fair today. 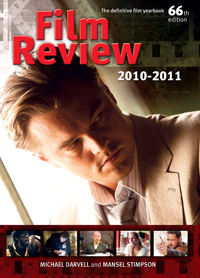 Film Review 2010-2011 is the 66th edition of the definitive film guide established by F Maurice Speed in 1944. Now edited by Michael Darvell and Mansel Stimpson, Film Review is still the only guide to appraise all theatrically released films in the UK. The first Signum edition is the biggest yet, with more than 250 pages. 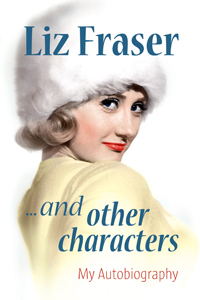 Adventures of a Carry On Girl is the autobiography of Liz Fraser, the actress who was one of British cinemas favourite leading ladies for more than three decades. Instantly recognisable as the star of five Carry On productions, she was also in the Confessions and Adventures films, as well as regularly appearing alongside such comedy legends as Tony Hancock, Sid James and Peter Sellers. 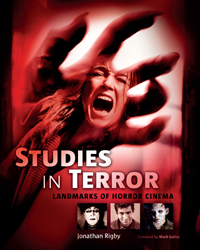 With Studies in Terror, Jonathan Rigby - author of English Gothic and American Gothic - brings his trademark wit and insight to bear on 130 of the key moments in screen horror. His scope is wide, ranging from silent masterworks like Nosferatu and The Cabinet of Dr Caligari to such 21st century milestones as The Descent and Let the Right One In. The result is a history of international horror cinema thats as entertaining as it is informative. All three books will be on sale 10 October, available at book shops and online retailers. Limited signed editions will be available for pre-order from the Signum website.